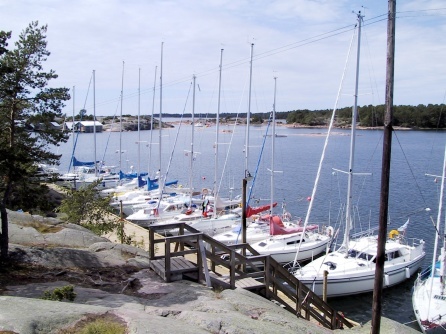 Come and enjoy the old fishing port with all the old boathouses and breath in the genuine archipelago atmosphere! Here you are close to nice beaches, stunning nature and lots of fun experiences. We offer trips to Märket lighthouse, located on a small island right at the border between Sweden and Finland. Dock at our beautiful and protected harbor with place for 70-90 boats with access to electricity, water and wireless WiFi. In close proximity you will find the fully equipped service building with showers, WC, sauna and laundry room. On the hill above the guest harbor overlooking the sea, we have our barbecue area with benches to sit by and with plenty of space to hang out. 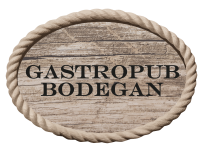 Step by our Gastropub Bodegan and let us pamper you! We offer good and well prepared food and beverages right by the water overlooking the fishing port. We have a varied menu of pies, salads, fish dishes and our popular hamburger- and tacoplates. Enjoy different kinds of beer, wine and cider, soft drinks and tea and coffee. We also offer home-baked goodies, ice cream and soft ice cream. 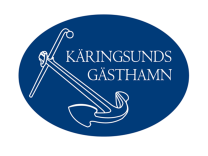 Käringsunds Gästhamn is open between May - September. The passage to Käringsund is marked with a small lighthouse and a sign. When you sail in to the bay you see Bodegan and the marina office on the port side. The best way in is straight ahead towards the small islet. Take right towards the marina pier and choose a vacant location. When you check in by visiting the marina office, you receive the code to the service area and other necessary information. You also receive a receip to put on the boat. We wish to offer good and well prepared food for the whole family! We have a varied menu with fish dishes, tapas, Bodegans own burgers and salads! We offer different types of beer, including the locally brewed Stallhagen, and ciders, longdrinks and various selected wines. Children of course have their own menu. Our menues you find here. For table reservations in the evening, click here.